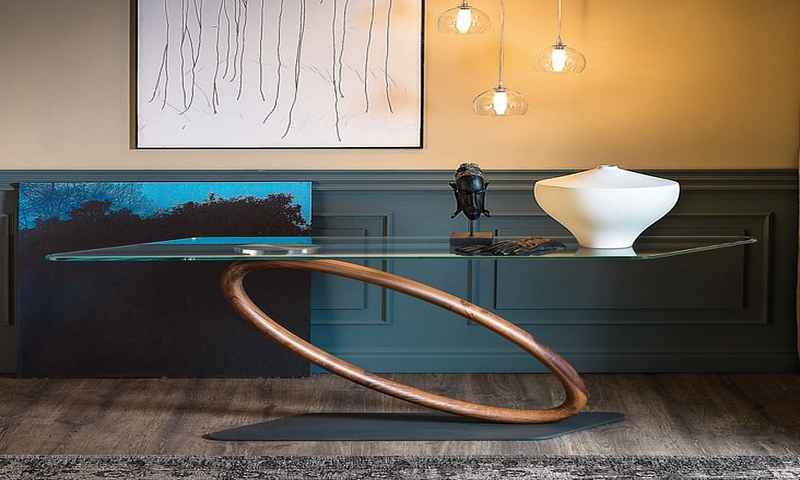 HomeBlogHome DecorTour Console by Cattelan Italia. Designed by Giorgio Cattelan in 2014, Tour Console is a strikingly elegant console table characterized by geometrical shapes and modern looks. 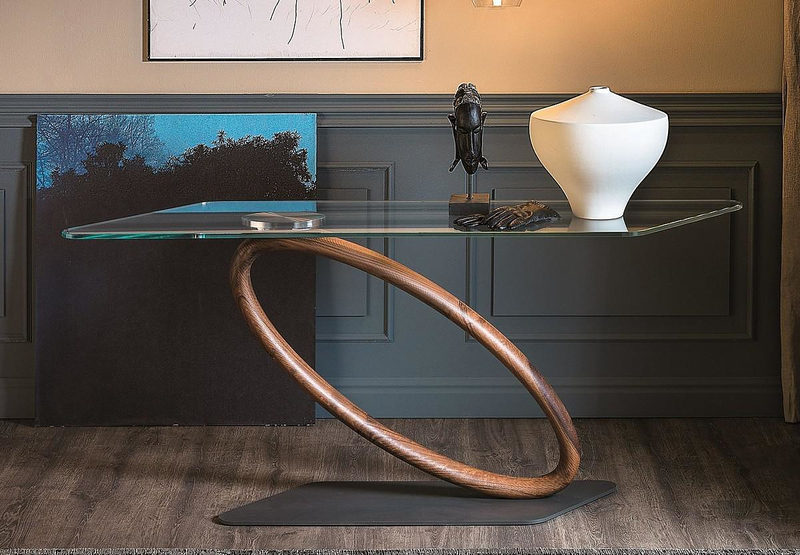 The highlight of the design is the glass tabletop gently balancing on a elliptical base made of solid wood. Another exciting aspect of the design tis that the Tour Console features three different materials blended together into one harmonious composition. 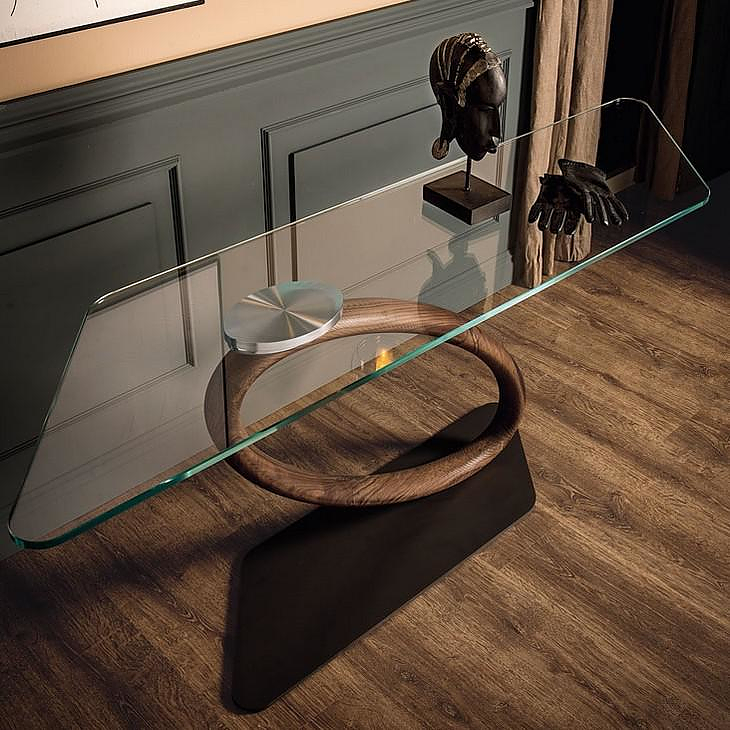 The base is made of graphite embossed lacquered steel, the central leg in Canaletto walnut and the tabletop in clear glass or extra clear glass. The result is a striking pices that becomes the focal point in any living space. Of course the beautiful delicate construction comes at cost, therefore the Tour Console has a limited max capacity of 10 kg spread load.